If you love warm, spiced apple cider during the cold months, you will almost definitely love chilled sparkling spiced apple cider during the warm months. 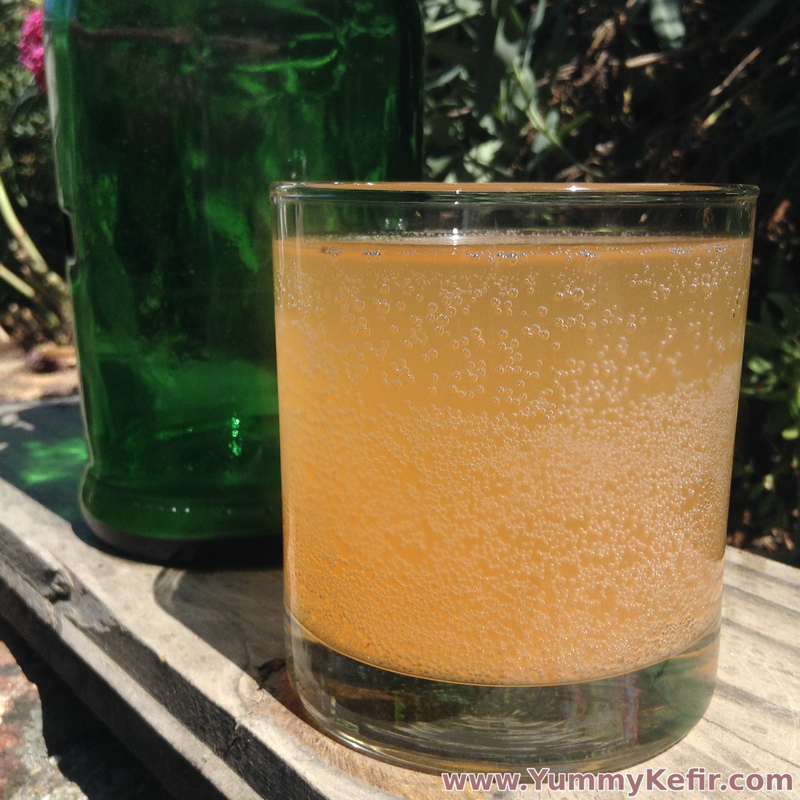 Brew up a batch of spiced apple cider and then add it to you finished water kefir to create a lovely, bubbly soda that is fragrant with spices and apples. Combine all ingredients for the spiced apple cider in a crock pot or a large pan on the stove. Cover and brew for at least 6 hours then let the apple cider cool to room temperature. Mix together the spiced cider and the water kefir. Bottle and let sit 1-2 days to become fizzy. Looks brilliant. Have been using to much sugar and mostly making lemon ginger flavor with the ingredients mixed in while starting a new batch of water kifer. Could this be why my grains do not seem to grow? I can’t say for certain why your grains are not growing but from reading, it seems like some water kefir grains just no longer mulitply. I have noticed this issue most often when rehydrating grains that have been dried. While the grains are able to ferment the sugar water, they never seem to grow new grains again. You may want to look into getting some more grains that are multiplying and mix those in with the ones you currently have.